Ed Sheeran quits Twitter – Royal Times of Nigeria. British singer Ed Sheeran has joined the list of celebrities who have quit Twitter. 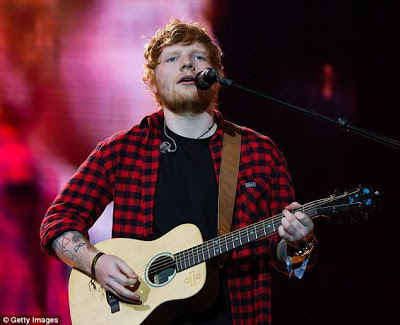 The Shape Of You singer said he has been bombarded with mean comments that end up ruining his day and he has decided to stop giving the trolls such power. The 26-year-old hitmaker who has 19.2 million Twitter followers will not be closing the Twitter account but he doesn’t intend to use the platform anymore. He revealed that he relies on his family and friends to help keep him grounded, rather than online trolls. His last tweet was on Sunday night, July 2, and had been dedicated to replying critics of his Glastonbury performance who accused him of using a backing track instead of a live band. The world is cruel,people like you just make it more beautiful.